We are delighted to present Ecole de Danse Zou. Ecole de Danse Zou was established in 1950 by Serge Valentino GRISEL, who had previously taught at Académie des Maîtres de Danse de France. He was twice Rock’n’Roll World Champion. He was passionate about teaching and relished being on stage, both of which helped école de danse ZOU to acquire considerable international renown. Declared of public utility by the commission des Beaux-Arts (Swiss Federal Commission for Fine Arts). Waltz, Tango, Rock’n’roll’ Roll, Swing, Boogie Woogie, Cha Cha, Samba, Puerto Rican Salsa, Quickstep, English Waltz, Slow Fox, Foxtrot, Rumba, Charleston, Argentinian Tango. Hip Hop, Jazz, Zumba, Funk, French Can Can, Street Dance, Soul Line Dance. Instructor at Académie des Maîtres de Danse de France. Teaching diploma from Académie des MAITRES de Danse de France. 1978 Acrobatic Rock’n’Roll World Champion. To Teach You to Dance Skilfully and with Elegance. The school welcomes both adults and children from the age of 5. 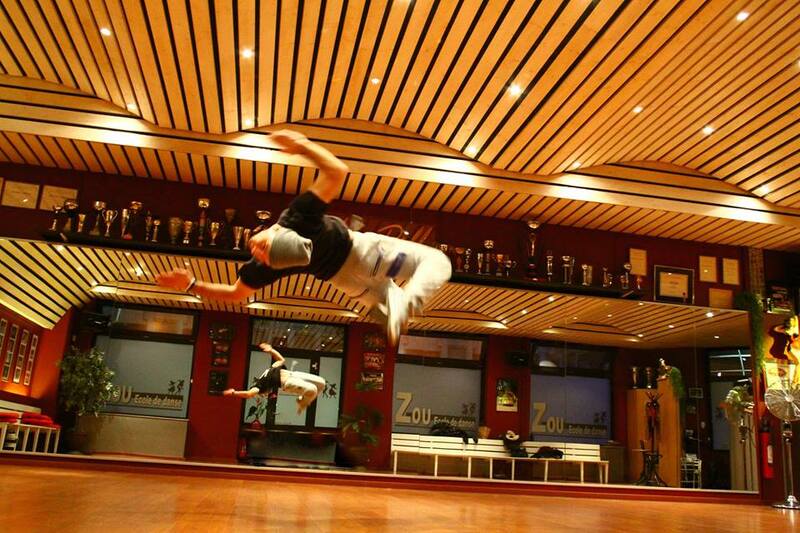 Kevin Serge Grisel and Jimmy-Steve Grisel, the third generation, joined the team at école de danse ZOU in 2009. Adult and Private Lessons: On-site when you come for your first lesson. Students are not covered by the school’s insurance during lessons. 10-lesson cards (3 months) are valid for one month after your last lesson and are for personal use only. Ecole de Danse Zou reserves the right to cancel a course should there not be enough enrolments as well as to cancel a membership card for inappropriate behaviour. New members of junior courses must pay their fees in full after their trial session. The school reserves the right to reject any student who delays payment without prior agreement with the school’s management. Sauf avis contraire de l’élève ou de son représentant légal, la direction se réserve le droit d’utiliser les images photographiques ou filmées en cours ou durant les spectacles pour sa communication. Il n’en sera pas fait d’usage commercial.